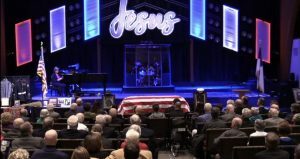 A celebration service for Ed Jackson, former Grace Brethren pastor, church planter, and mentor was held March 22, 2018, at Grace Church, Powell, Ohio (Jeff Stimpson, pastor). Ed died March 16, 2018, in Westerville, Ohio, joining his wife, Polly, and son, Jim, in heaven. Below is a recording of his memorial service.